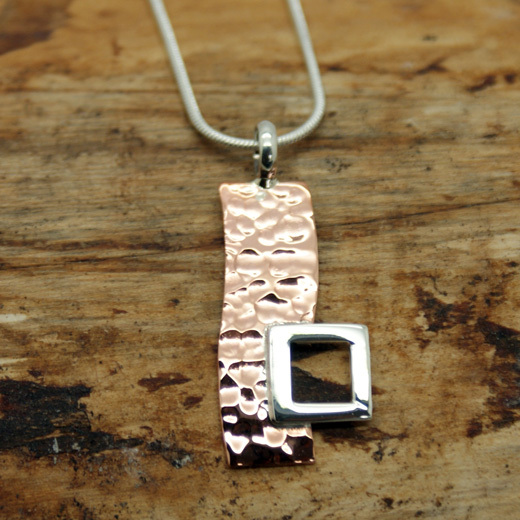 A striking sterling silver and copper pendant from Pura Mexico. 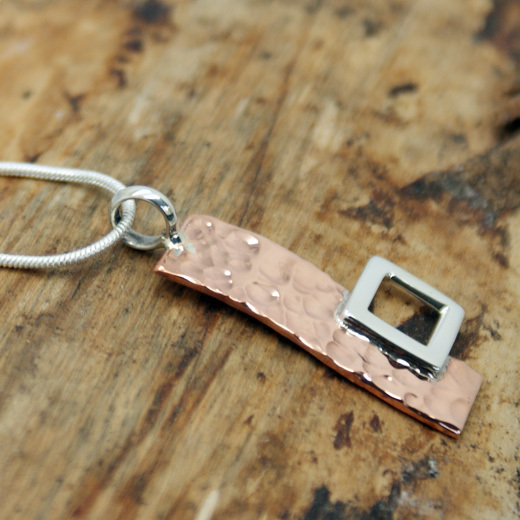 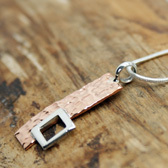 This handcrafted pendant features an abstract rectangle of hammered copper with a bold highly polished outline square of 925 sterling silver. 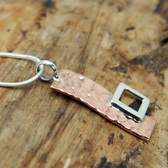 The combination of the two metals is very attractive and will enhance any outfit. 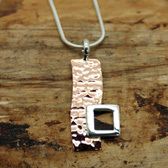 It look equally elegant with evening wear.